This past weekend celebrated the 13th annual Ray Price Capital City Bikefest! For the past 13 years, the Ray Price Capital City Bikefest has filled the streets of downtown Raleigh, NC with motorcycle enthusiasts for one weekend in September. The entire weekend is full of music, contests, artists (Tattoo Fest!) and the list goes on! Capital City Bikefest is Ray Price Harley-Davidson®’s largest charitable event of the year. Custom Dynamics® is also a very proud sponsor! All proceeds and donations go to the chosen charities of the late Ray Price. Bikefest raised a total of $13,917 this year. Proceeds benefited both the USO-NC and US Veterans Corps! Kicking off the weekend, Custom Dynamics® sponsored the Parade of Lights for the 5th time. 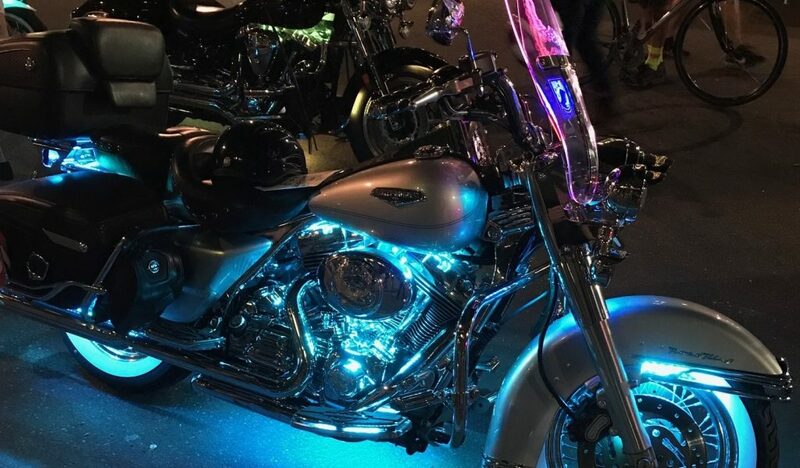 The Parade of Lights is a ride through the heart of downtown Raleigh, NC featuring all makes and models showing off their custom accent/accessory lighting! While the Parade of Lights is fun for everyone, there is also stiff competition for the first place prize! You can see video of the Parade of Lights 2017 here! The top 3 bikes with the best accent lighting are chosen as the winners. 1st place receives a $500 Custom Dynamics® Gift Certificate with 2nd place and 3rd place winning $250 and $100 Custom Dynamics® Gift Certificates respectively. If you weren’t able to make it to Bikefest this year, you can find updates on next year’s event here. 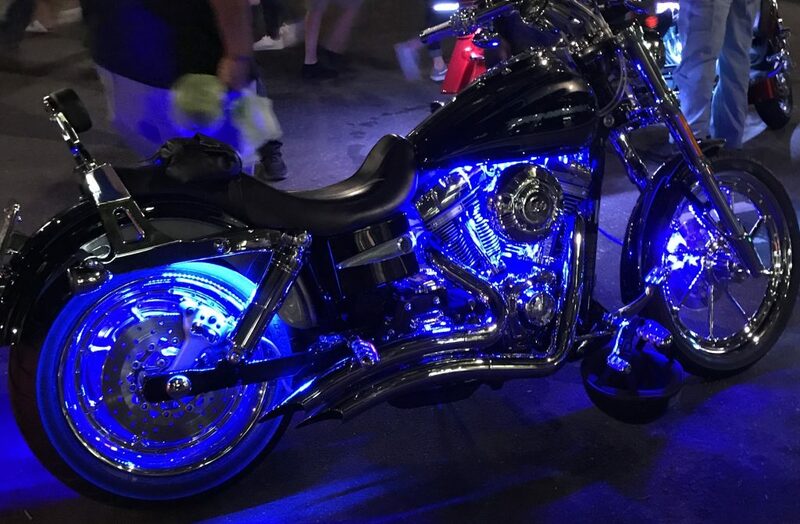 If you think your bike has what it takes to win, Custom Dynamics® also sponsors the Thunder Beach® LED Contest held during Panama City Beach Bike Week®! The Ray Price Capital City Bikefest continues to grow each year with 200,000+ attendees expected for 2018! Mark your calendars and get your lights ready, we’ll see you there! 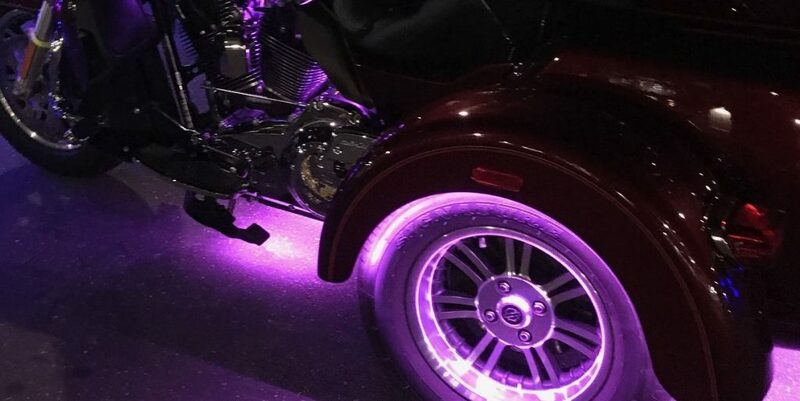 Shop our Accent Lights for EVERYTHING to Light Up Your Ride®!